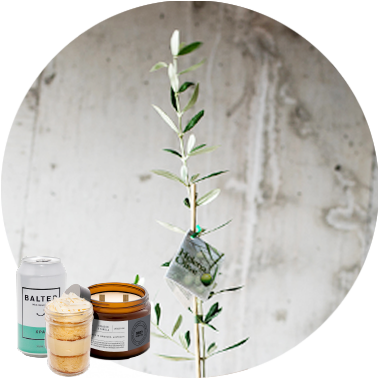 “Olive You!” – Helena Olive Tree, Mason Baker JarCake, Balter beer and Just Cause Bunch Tobacco and Vanilla Scented Candle. Free local delivery to selected areas. *Helena Olive Tree 175mm pot, 70cm tall.